Along with KTM’s new headline bikes, the 790 Duke and also the 790 Adventure concept come a few more machines to boot. And, for those of you who like to get down and dirty and can’t wait for the 790 Adventure to drop, they have a few different off-road flavours to take your pick from. The electric Freeride takes another step forward with a new chassis, new suspension, the brushless synchronous motor pushed to an output of just over 24bhp, and 50% more life from its lithium-ion 3.9 kWh battery. It’s also A1 licence compliant. 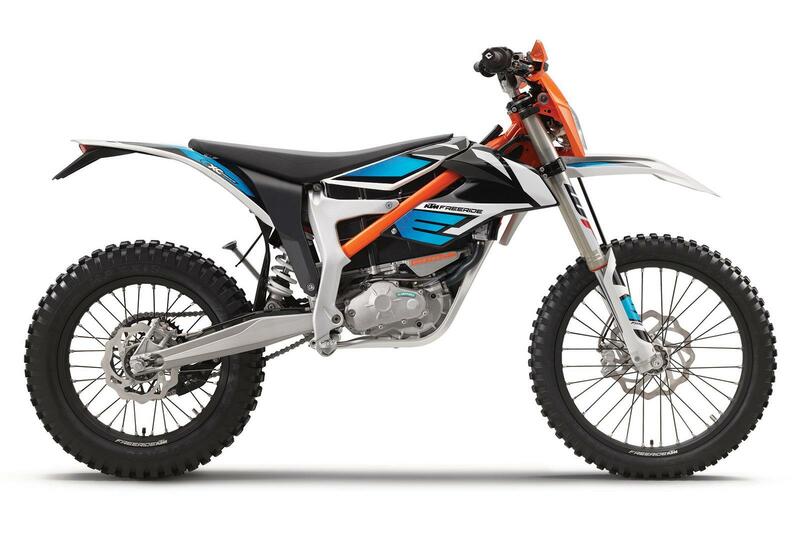 Designed around a more compact engine, the new Freeride is based on the 250 EXC-F enduro, but with the agility you’d more expect from a trials bike. 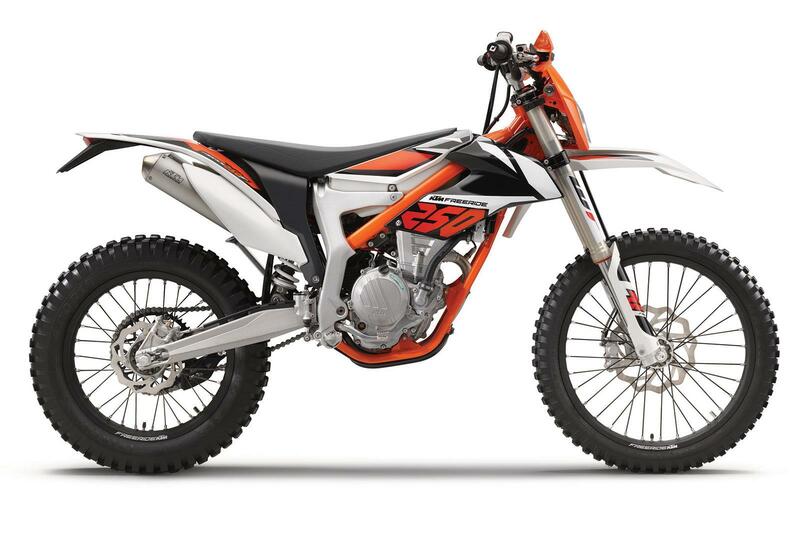 There’s also a new clutch, frame, WP XPlor suspension, adjustable footpegs, and just 98.5 kg. 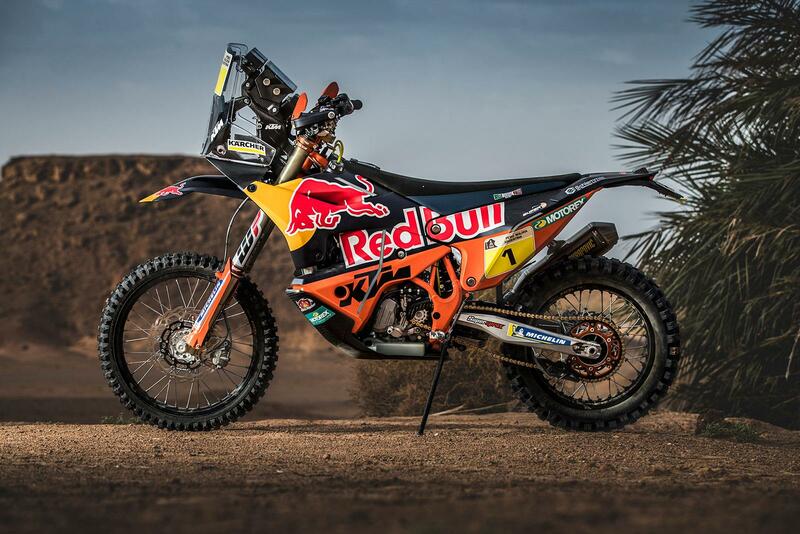 This new 450 Rally Replica is claimed to deliver even more power, more reliability and a new engine management system, new frame for improved agility and stability, a new swingarm, revised rear suspension and new fuel tanks.